Wolverine has trashed one Sentinel, and now he has his claws popped and he's ready for the next oversized robot! 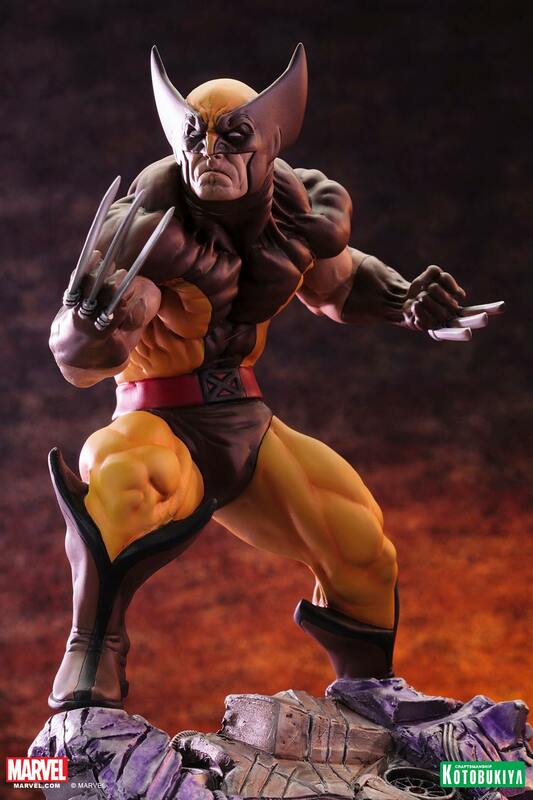 This Kotobukiya fine art statue also comes with an interchangeable head so you can display Logan with our without his mask. Also, this is the fan-favorite costume Wolverine wore in his classic mini-series. Sculpted by Erick Sosa, this beautiful statue stands nearly 8 inches tall (1/6 scale). It is part of the Danger Room Sessions series.